Are You a Candidate for Treatment? What Condition Could You Have? 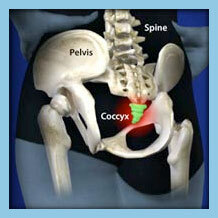 A coccygectomy is performed to treat coccyx or tail bone pain. Often when the tail bone or coccyx is broken or damaged it never completely heals. 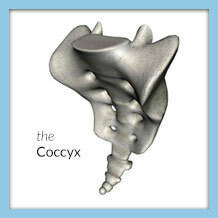 Since the body does not actually need the coccyx, a coccygectomy is performed to remove it. This procedure is designed to permanently correct your problem and reduce or eliminate your pain. Is a Coccygectomy the Right Treatment for me? You may have heard about a coccygectomy before and are wondering whether or not it is the right treatment for you. If you are not sure this is the right choice of treatment you should explore other options to make sure that the treatment you get is definitely the one you need. As a part of OLSS’s commitment to our patients, we have put together a quick and easy to use tool to help determine whether a coccygectomy is the right treatment for you. To get started just click on the link below and take 5 minutes to accurately fill out the questions. Once submitted one of the professionals at OLSS will review your submission and get back in touch with you to provide you with the answers you need to get on the path to living pain-free. Am I a Candidate for a Coccygectomy? If you are certain that a coccygectomy is the right treatment for you based on a referral from a doctor or recommendation from another surgeon, the highly skilled surgeons at OLSS are a great choice for getting this procedure done. With some of the most skilled and highly qualified surgeons in the industry, OLSS has one of the highest success rates. This in part is due to making sure patients we accept as candidates go through a candidacy checking process. To get started just click the link below and take 5 minutes to answer the questions as accurately as possible. Once we receive your answers one of our professional staff will review them and get back in touch with you to provide feedback and let you know if you are a candidate and what the next steps are to getting you back to living pain-free.